There’s more to visiting a spa than just relaxation. From softer skin to better health, the benefits of spending time at a health spa are well known. Better yet, unlike a trip to the doctor’s office, visiting a spa is an enjoyable way to improve your health. With a serene atmosphere and beautiful surroundings, spending an afternoon at a health spa is certainly an enjoyable activity. 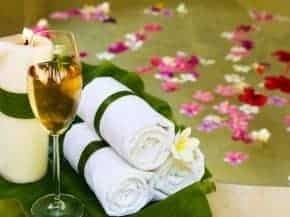 Read on to discover the top five health benefits of spending a day at a health spa, courtesy of Pure Leisure. Is there anything more relaxing than soaking in a hot tub, having a massage, or just relaxing during a skin treatment? Relaxation isn’t just a state of mind – it’s a very important process for your health and wellbeing. Spend more time relaxing and you’ll reduce the chance of serious health conditions such as heart disease occurring. Acne outbreak? Nasty skin rash? Skin problems pop up due to a variety of reasons, ranging from stress and lack of sleep to a poor diet. 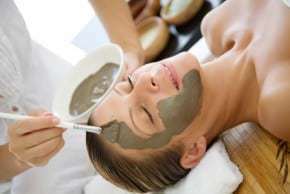 Thankfully, spa treatments are great for clearing up blotchy or pimple-covered skin. Therapeutic massage treatments allow your body to rest and relax while restoring your muscles to their utmost health. Enjoy relief and looser, more flexible muscles as your body is massaged into perfect condition. Have you injured your knee, elbow, or back recently? Certain sports can strain your joints as much as your muscles, giving you tense tendons and sore connections that really make exercise difficult. In the mood for your own spa getaway? Lake District spa holidays courtesy of Pure Leisure Group make it easy to enjoy the UK’s best scenery and its best health spas.